The RHS Chelsea Garden Show in London is THE garden show in the United Kingdom. Having been a fixture on the London social scene for over 100 years and attended by the Royal Family, everyone who exhibits at the Chelsea Garden Show brings their ‘A’ game. I did love the show gardens for 2018, but what really caught my eye wasn’t a garden. I was super-impressed with this free standing tree house from British luxury tree house builder, Blue Forest. Why? 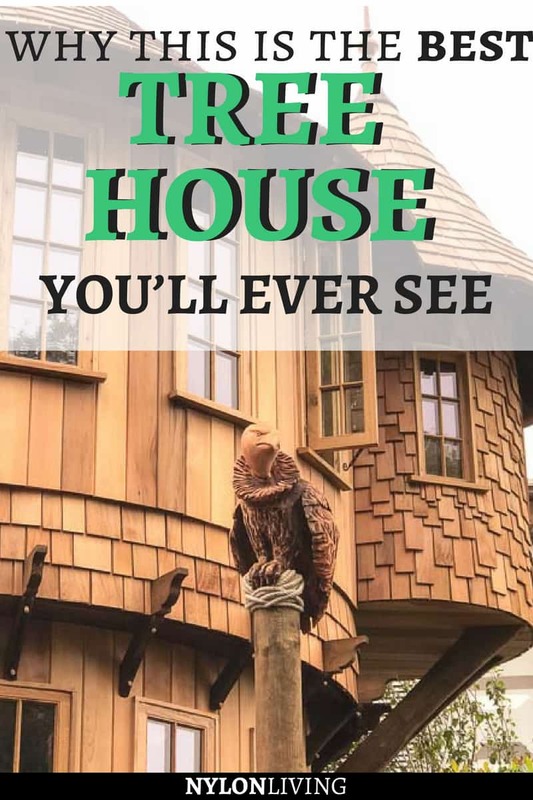 The tree house spanned 2 floors and had everything you could possibly want in a tree house for kids of all ages. 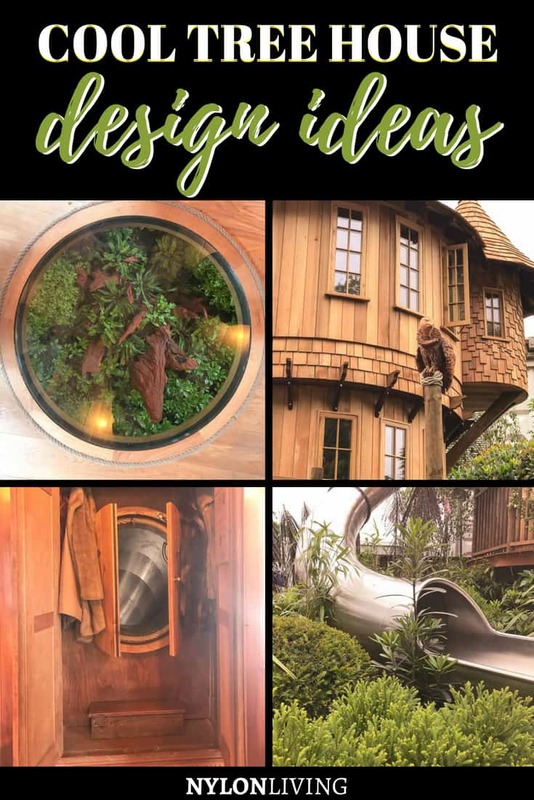 Amenities included a turret reading nook and a tree house slide hidden in a cupboard straight out of fantasy book, The Lion, The Witch and The Wardrobe. 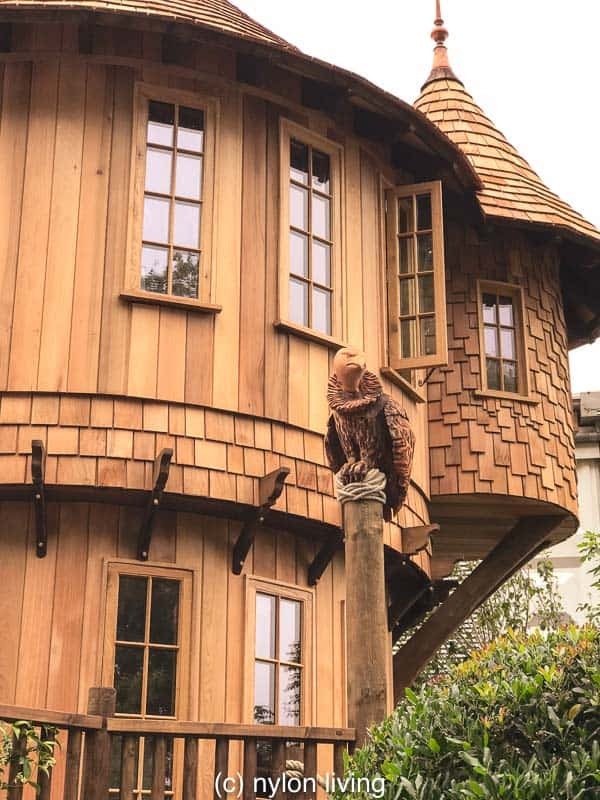 The tree house has a little turret room and an eagle who is not amused. This platform tree house was elevated over shrubbery that enshrouded it in storybook fashion. Sure there was a traditional entrance and exit via stairs to the ground floor entrance, but the cool way to leave this fantasy world was the tree house slide! 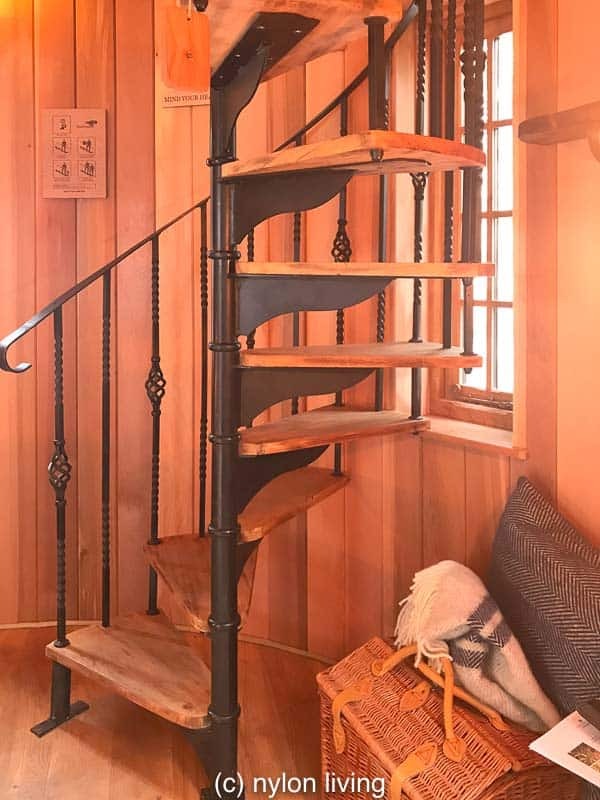 The tree house slide winds down from the top floor. 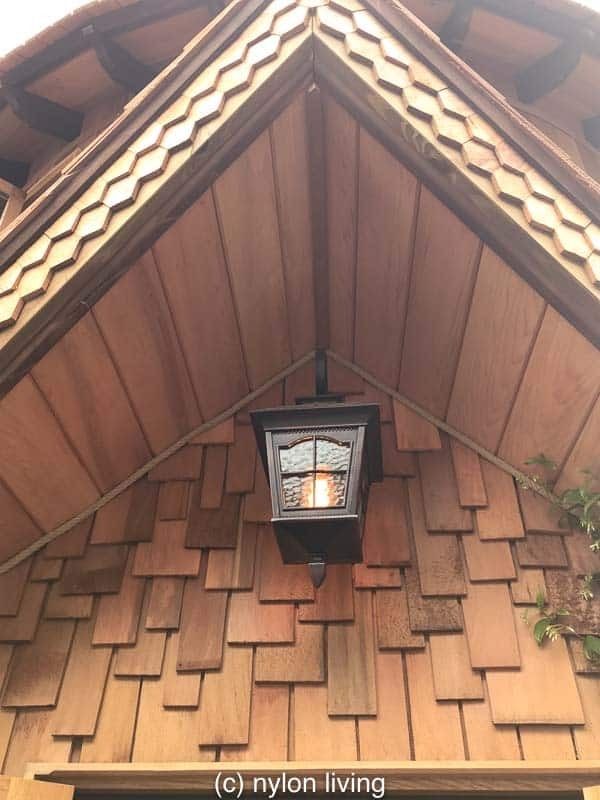 You can see the level of detail in the craftsmanship of this house. My kids never wanted a tree house because they didn’t want to have bugs and spiders in their den. With these paned windows though, bugs would not be a problem! You can send a basket down for supplies …. like champagne. This detailed alcove over the front door shows off the craftsmanship involved. It’s warm and cosy once you go inside the tree house. If this were my tree house, I personally would put custom-built seating so that you can snuggle up inside and hideaway from the real world. Or, drink champagne and take a nap. The spiral staircase is beautiful but I wouldn’t advise clambering up after you’ve had a few drinks. 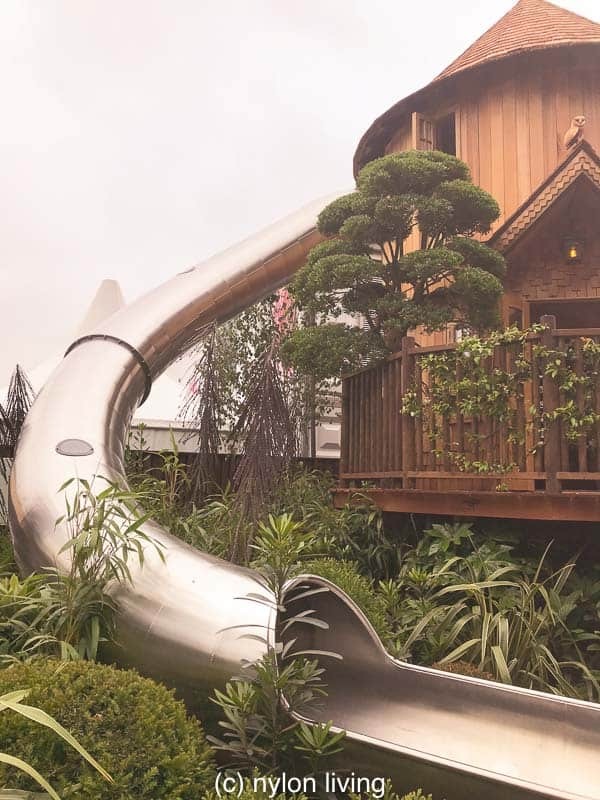 Of course, it’s after you have a few drinks that you’ll think its a good idea to go down the tree house slide which is accessed from the floor above. A spiral staircase from the ground floor to the top floor. The top floor is given over to what could be child fantasy of different ages and genders – a wardrobe with a secret exit, a rocking zebra, a tween hang out area and a teen girl’s fantasy turret. 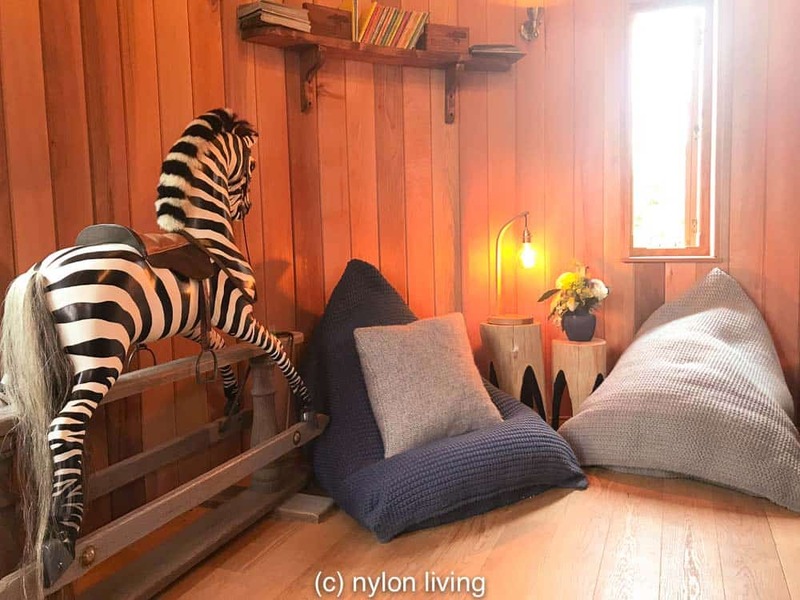 A rocking zebra and a hangout area upstairs for kids. 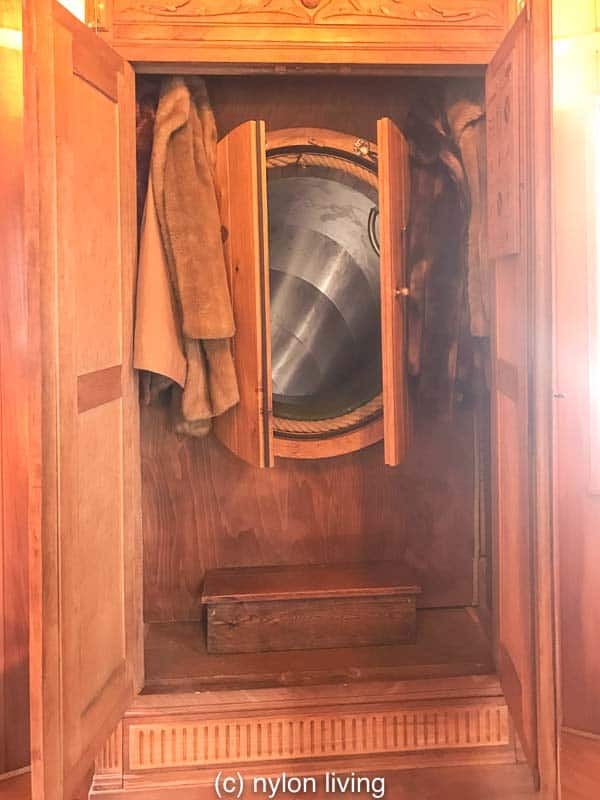 The entrance to the tree house slide is in a wardrobe. 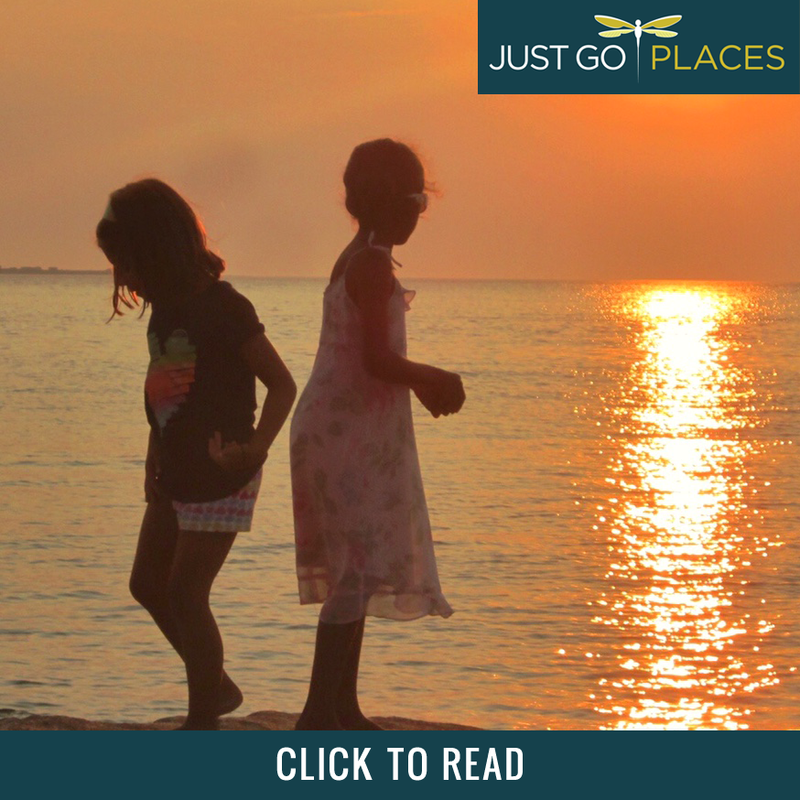 Check out more in the video! We were told that you would definitely need planning permission for this garden tree house! As you can see, it’s quite big so that’s not a surprise. The cost for this free standing tree house as seen at Chelsea? Deep breath. £150,000. It’s only slightly more expensive than Crystal the Swarovski rocking horse AND you get a whole building out of it. See, it’s all relative! I was told that people build these types of platform tree houses on their land and rent them out for tree house stays. A tree house stay is definitely on the more expensive side of clamping and so you could potentially recoup the cost over a period of summers. Want to stay in a platform tree house to see if you would like it? We did stay at Tsala Treetop Lodge, a freestanding treehouse on the Garden Route in South Africa. Built into the side of an indigenous forest, our tree house stay had 2 bedrooms, outdoor showers and a plunge pool. We thought it was super cool even if it did bucket down with rain our entire stay. Having a fireplace and a deep soaking bathtub helped! 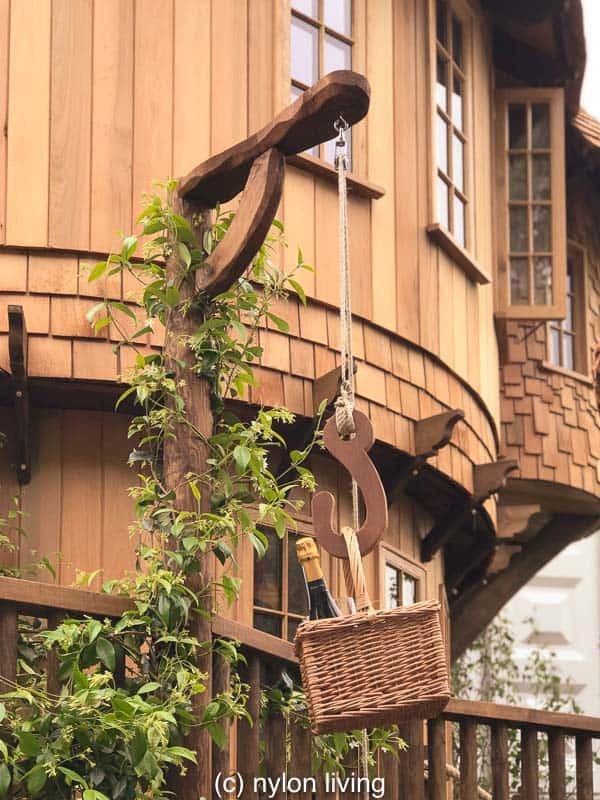 If you are looking for a tree house stay in the United Kingdom, luxury hotel Chewton Glen in Hampshire has several tree house stays available on their property. 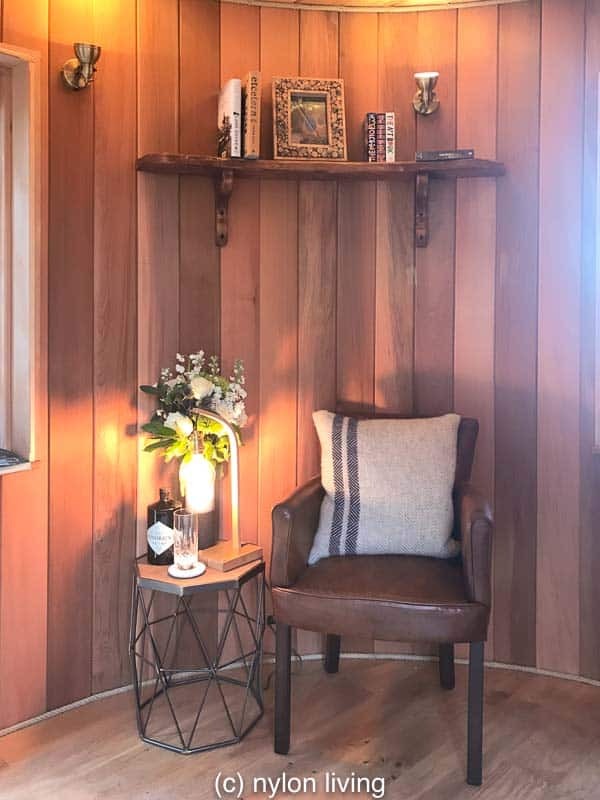 A cheaper option if you are fixated on staying in a tree house is the Bensfield Treehouse in the Sussex Downs, a designated Area of Outstanding Beauty. Both tree house stays are within easy reach of London. Like the look of this luxury treehouse? Spread the Word! Pin this to your Pinterest Boards for future reference! slide hidden in a cupboard. No kidding! 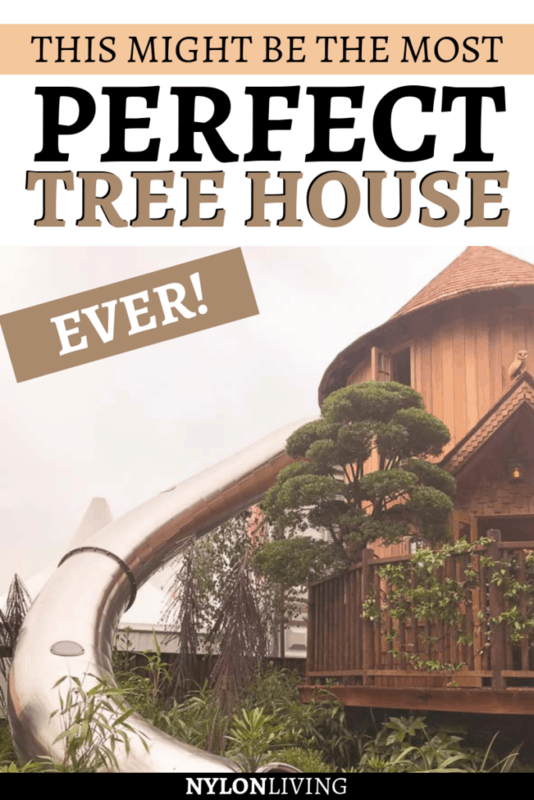 Click to find some awesome tree house ideas!